Editors Note: The following article was published on 2nd July 2017, by EurekAlert! and is being picked up by several news and web outlets across the globe. 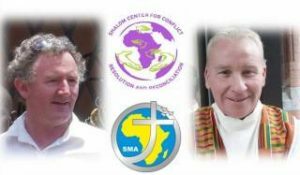 It offers a fascinating insight into growing international interest in the methodology developed by the Shalom Centre for Conflict Resolution and Reconciliation, founded by SMA missionaries, Frs Ollie Noonan and Padraig Devine. In the lead up to the Kenyan elections on 8 August 2017, it is expected Shalom’s work and insights will come under increasing scrutiny. An innovative research-led model for building peace has been pioneered by an Irish Catholic priest and his Shalom Centre colleagues working in areas of Northern Kenya where assault rifles are as common in households as cooking pots. Lawlessness is prevalent in the isolated areas of Kenya bordering Uganda, South Sudan, Ethiopia and Somalia, and family possessions include, on average, 1.6 AK-47s, the weapon of choice also of organized cattle-rustling gangs. Weak institutions, porous borders and climate change, meanwhile, combine to make conditions harsher, nurturing historic, sometimes violent competition over scarce resources between the 11 ethnic communities of Northern Kenya with which the Centre works. More recently, conflicts over official positions and new administrative boundaries driven by politics have become commonplace. Of immediate concern to the peace makers: the Aug. 8 Kenya general elections. In 2007-08, post-election violence nationwide, fuelled by political in-fighting, retaliation and power struggles, left roughly 1,300 Kenyans dead, 60,000 maimed and 600,000 displaced. The Shalom Center for Conflict Resolution and Reconciliation, founded by Fr. Patrick Devine in 2009, which works as well in the slums of Nairobi, has cultivated a unique approach to conflict resolution, its success recognized and celebrated with a host of international awards. And the model is expanding into other parts of Africa, starting with Côte d’Ivoire, Tanzania and the Central African Republic, with further plans to establish centres as well in Ethiopia, South Sudan, Nigeria and the Democratic Republic of Congo. The model’s success is founded on extensive research into areas of complaint and issues that drive conflict then working with key community opinion-shapers — elders, women, youth and influential chiefs — to reach a common understanding of both the history and current definition of a conflict’s source, while building trust and co-operation to reach solutions. Through workshops, Shalom is creating a legacy of conflict resolution, training to date more than 9,600 community leaders as peacemakers. Strategies also include sustainable human development in conflicted communities through projects. Lasting results include the building of solar-powered inter-ethnic and inter-religious schools, medical centres and water projects. Conflict in the region can be linked to several primary causes: scarcity and mismanagement of core environmental resources, infrastructure insecurity, weak institutions and the political economy of governance, historic tribal land and cultural conflict, all contributing to an unhelpful proliferation of illegal small arms. Nairobi-based Shalom Centre’s international research and field staff are expert in conflict management theory and practice. All have at least a masters’ level education. “And I have never met a group with the persistence, commitment and consistency of Shalom staff,” says Fr. Devine. The goal is not what he calls “negative peace,” or just an end to fighting but rather “positive peace,” where both sides in a conflict see the benefits of protecting the others’ security and wellbeing. At a May EU meeting in Brussels to address the humanitarian situation in Africa, Yemen and Syria, Joe McHugh, Ireland’s Minister of State for the Diaspora and Overseas Development, noted the impossibility of sustainable development without peace. Dr. Laura Basell, a professor at Queen’s University, Belfast, and an archaeologist in Africa for 20 years, praises Shalom’s diverse, highly qualified international team. “What particularly impresses me is Shalom’s theoretical underpinning focused on education, empowerment, and transcending ethnic and religious boundaries in order to address the root causes of conflict,” she says. The Shalom Centre for Conflict Resolution and Reconciliation is supported by partner organizations and a network of visionary donors, primarily from the United States, United Kingdom and Ireland. 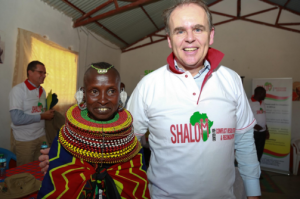 With a budget of less than $1M US per year and low (7%) overhead costs, Shalom leverages the donations of its supporters to maximize its work on the ground in tribal areas, particularly in the semi-arid terrains, and in the largest slum settlements in urban centres of Eastern Africa. 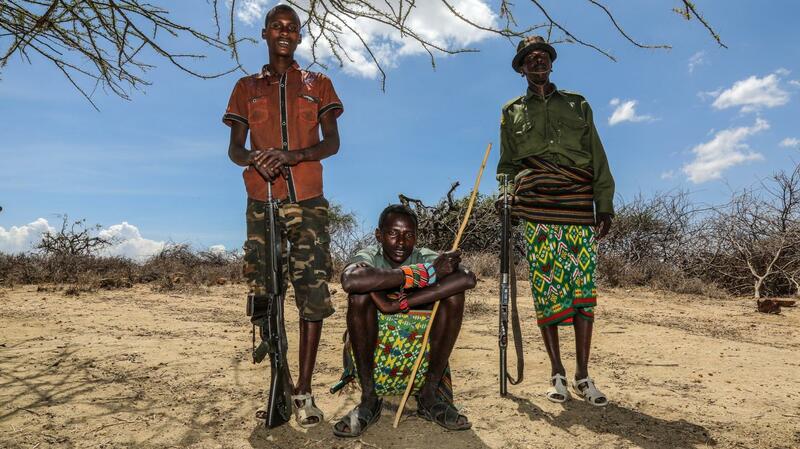 The Center focuses on the root cause of violence in the tribal lands of eastern Africa. It was created in 2009 in the wake of persistent widespread violence and dislocation across Northern Kenya, and in the aftermath of the disputed Kenyan elections. Shalom has made a major impact on peace initiatives in this vital strategic area of Africa. The Centre’s work is strictly non-sectarian and closely aligned with civil society organisations. Fr. 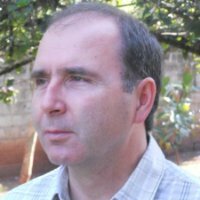 Patrick Devine serves as the organization’s executive director, leading an international team of conflict resolution experts from various religious backgrounds and disciplines who are based in Kenya and neighboring countries. Deliver quality conflict management training consistently to local communities. Conduct research among local communities into the causes of violence. Work with local leaders and influential opinion shapers to ensure they are part of the long-term solution to preventing conflict; engaging them in problem-solving workshops. Promote the construction and development of projects that benefit multiple groups in a community, including those on opposite sides of a conflict. Conduct peace education in primary and secondary schools and with groups of influential opinion shapers in conflict environments, aimed at delegitimizing the use of force in solving conflicts. Shalom benefits from Memoranda of Understanding with the governments of eastern Africa that comprise the Intergovernmental Authority on Development (IGAD). The Centre also partners with international and regional colleges and universities on peace-building courses, as well as religious association and councils in Africa. Shalom makes its findings available to partners, relevant governments, ethnic representatives and United Nation and regional organizations. High-profile speaking engagements help raise awareness of this successful peace-development model so it can be implemented in other conflict environments. Last year, Fr. Patrick lectured at Harvard Law School, and in January gave a presentation to a group of Washington D.C. diplomats, academics and peace practitioners on preventing radicalization and extremism.